SouthworldChurches June 2018Mexico. “I could be killed anytime”. Commitment to work side by side with immigrants right to the end. A Church up and running. The testimony of Fr. Thomas Gonzalez. “I have received many threats. I know I could be killed but I am not afraid. I have dedicated my entire life to the defence of the weakest. 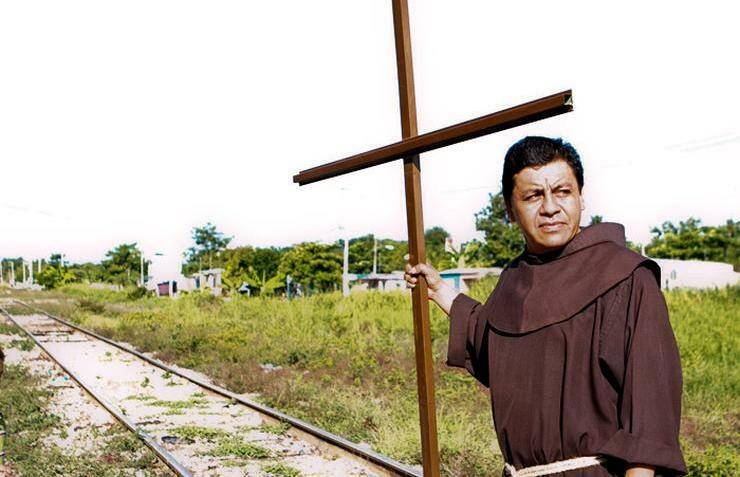 I always ask myself what Jesus would do in this situation.” These are the quiet but determined words of Father Thomas Gonzalez, a 44 year-old Franciscan and director of a house for immigrants called “The 72” in Tenosique, in the state of Tabasco towards the south east of the country. Anyone taking the part of the immigrants become the preferred target of drug traffickers and organised crime who see this as a threat to their lucrative business of people trafficking which shows a worldwide yearly profit of 32 billion dollars. Human trafficking is the third most profitable business after arms and drugs. 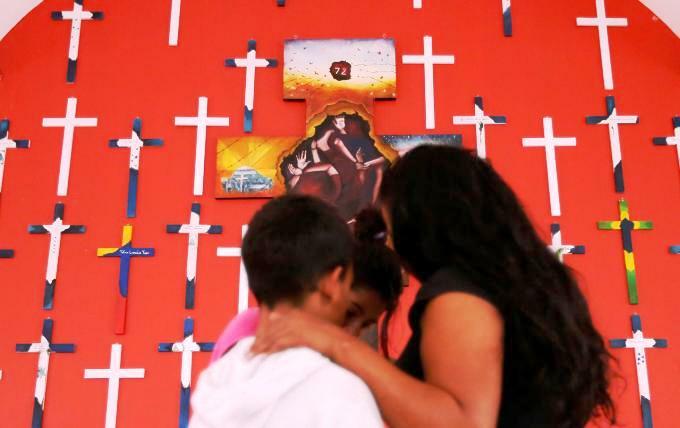 Mexico has become the most dangerous country in the world for priests and religious. From 2012 until today, twenty three priests have been killed in the country. 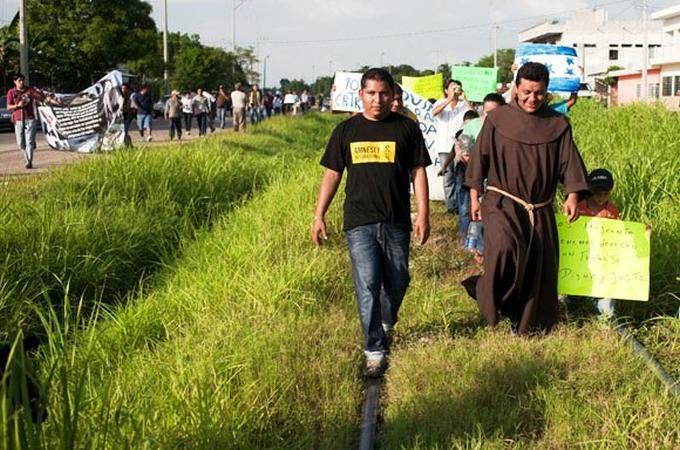 The Franciscans have been taking care of immigrants since 1995. Father Tomás came in 2010. “When I came here to Tenosique abductions were the order of the day. The Migration delegate and the Director of Public Security were members of the gang engaged in human trafficking and the kidnapping of migrants. At that time the reception project was very simple: just one meal a day, only for men and they were allowed to stay three days at the most. Very few people came, due partly to the fact that the hostel was in the centre of the city”. The Franciscan tells how Mexico is a country of migrants and for migrants: “It is unusual to find a family that has no relatives in the United States who is without documents or is an illegal immigrant. 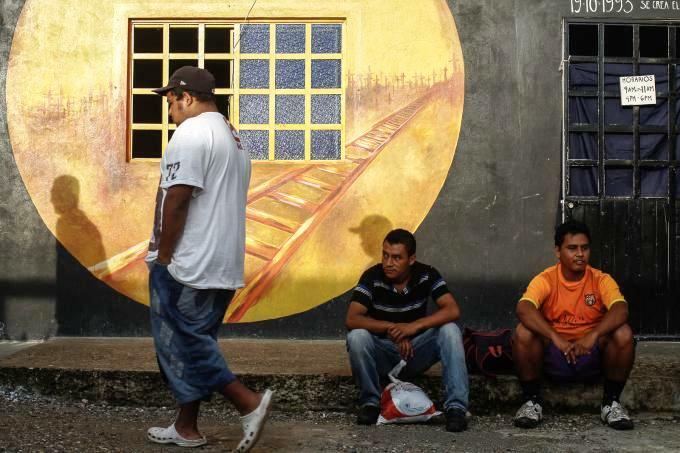 There are more than ten million undocumented Mexicans in the United States. Migrants are human beings in an extremely vulnerable state since they are the victims of an unjust political, economic and social system. The main force behind migration is the capitalist and neo-liberal economic system which literally catapults human beings into other areas. When will it end? When will this economic system change’? It is a system that some see a “their god”. There are hundreds of thousands of people seeking to enter the United States every year. There are many stories of violence, exploitation and oppression. Father Tomás recounts: “This hostel has welcomed over 50,000 people since it was opened and all of them have experienced sorrow and pain, though some of their stories are really terrible. Mothers come with their children to escape from the sexual violence of their husbands or gangs; young adolescents between twelve and fifteen years old have fled from the youth gang recruiters, the well-known «Maras». Many have seen their parents killed; there are adolescents the victims of trafficking and young adults who have suffered all their lives because of migration or because they are the children or grandchildren of immigrants”.With some regret, Father Tomás tells us: “We are often faced with the fact that nobody cares about the lives of these people who travel in secret for fear of criminals and the police. 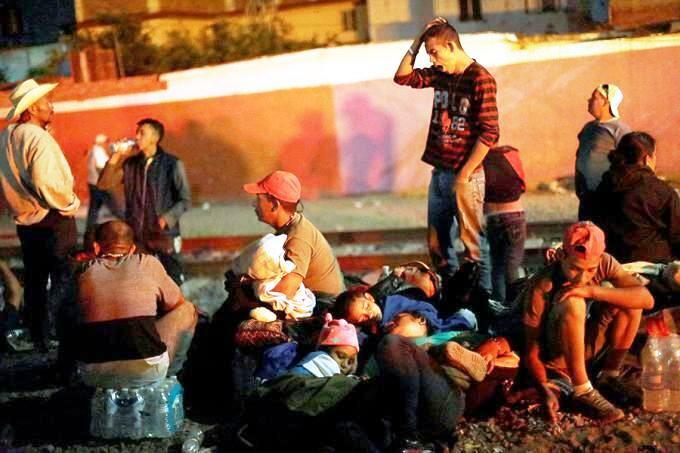 Then, in transit countries, they are treated like real criminals or terrorists: arms, walls and security forces persecute them humiliate them and mistreat them in detention centres.”That which worries the Franciscan most is the emergence of political leaders like the American President Donald Trump with his hostile language who “create in their citizens negative attitudes towards migrants and refugees”. Father Tomás states that Mexico is not sovereign in matters of immigration but depends upon the decisions of the United States. This does not make it easy to have a healthy discussion on the question of immigration. The question must be debated at international level and not left to Mexico and the United States. “As the Church – Father Tomás says – we must return to our roots as a Church that is up and running, a Church that is able to speak to the world of today and a courageous Church with no fear of martyrdom. “.